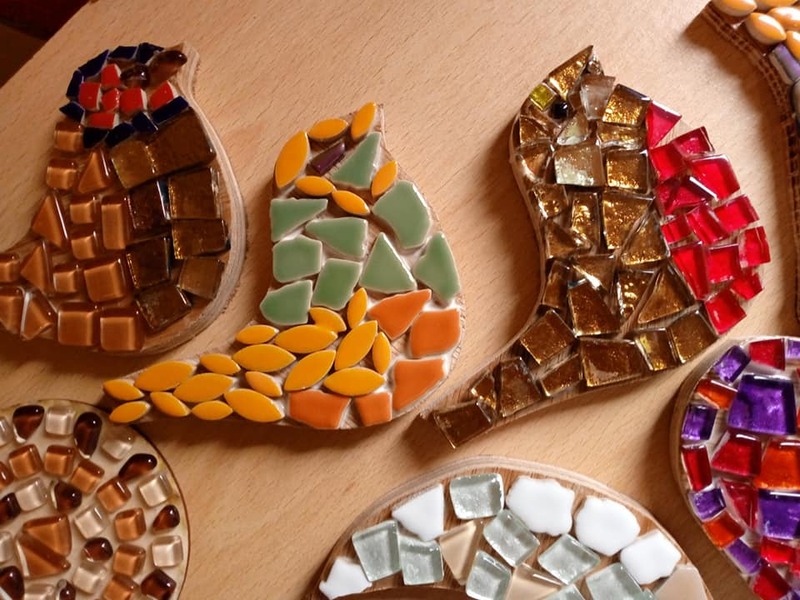 The Workshop will be closed on Monday 6th and Monday 27th May. 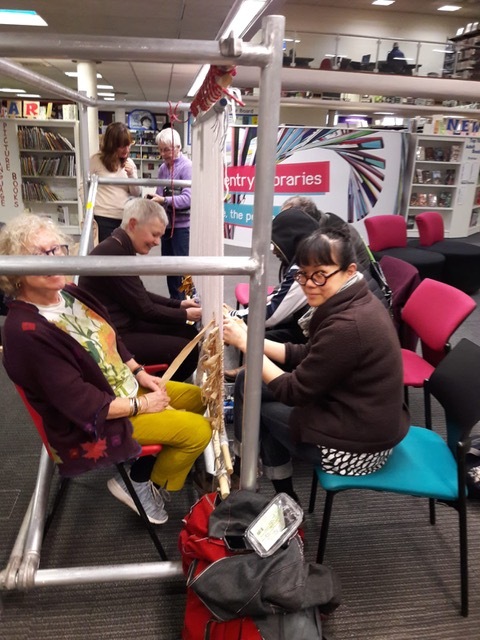 A couple of pics from our recent weaving intervention In Central library. An enjoyable afternoon of sociable weaving and we made good progress on the tapestry too! A big thank you to Kate and Jean who volunteered support. 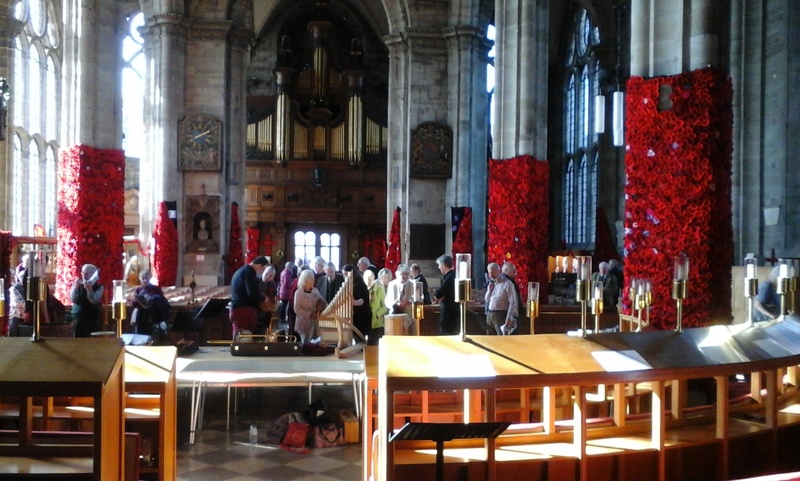 Tuesday 7 May – a day weaving in the Cathedral (time to be confirmed) – drop in sessions. You are warmly invited to drop in and weave a little with us. There has been a slight error in the latest publication of The Echo. 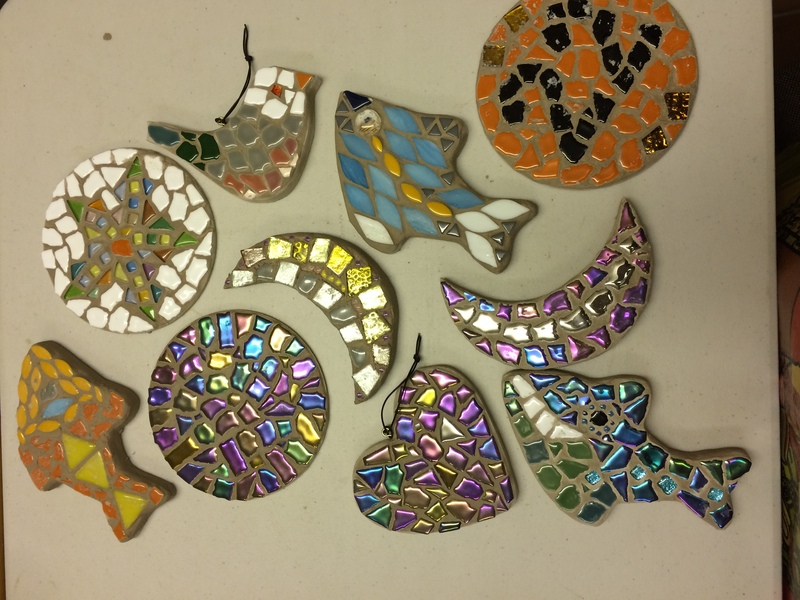 Enjoyable day with Diane creating many pieces of original mosaic work. 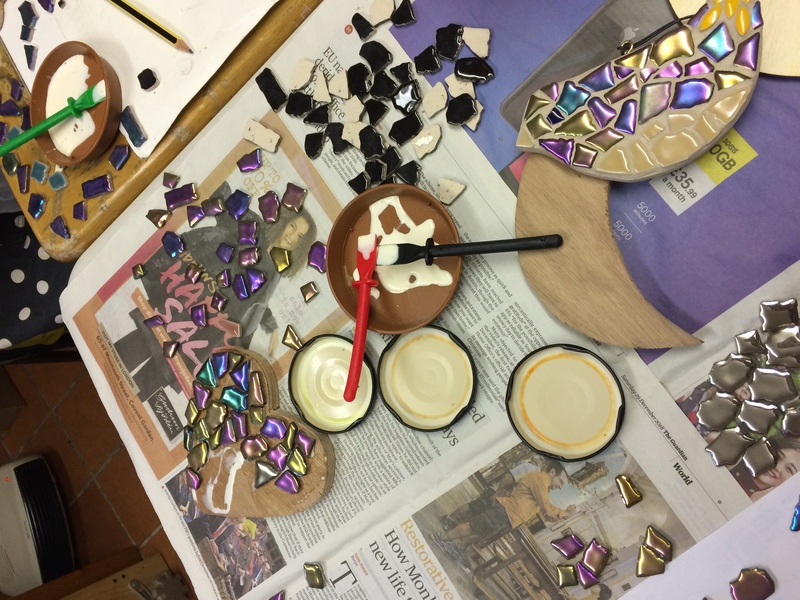 The Weavers’ Workshop will be closed on 13th December and re-open on the 3rd January. The Monday group will re-open on the 7th January 2019. 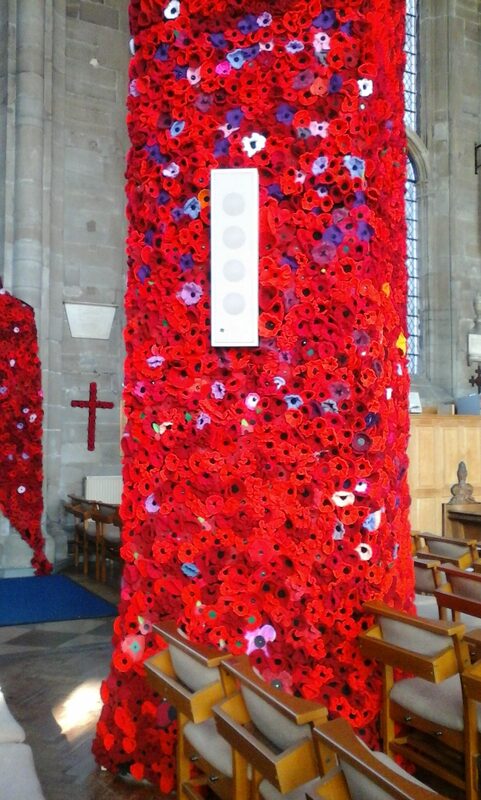 I believe that over 63,000 poppies were made for the church. Aren’t they stunning? 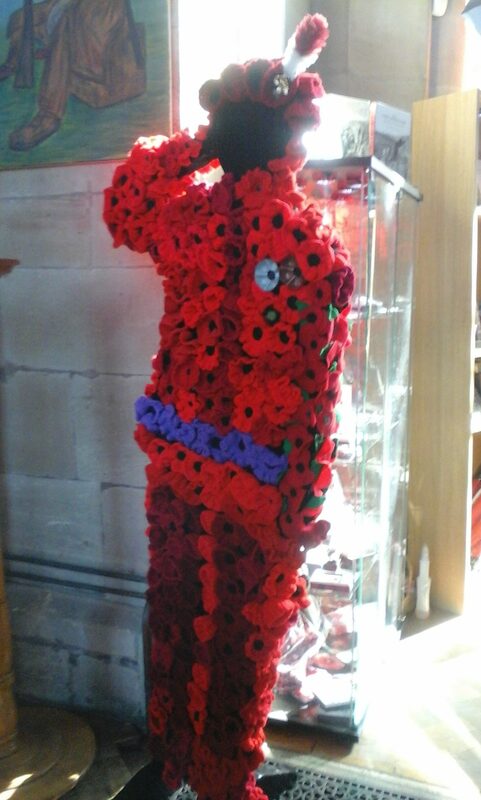 10th November 2018 at the Weavers House, 121 Upper Spon Street, Coventry CV1 3BQ from 10 a.m. till 3.00 p.m. THIS IS A FREE EVENT. Any age group is welcome. Come and join the Weavers’ Workshop for a nice hot cup of tea or coffee and a biscuit in the peaceful Weavers House. 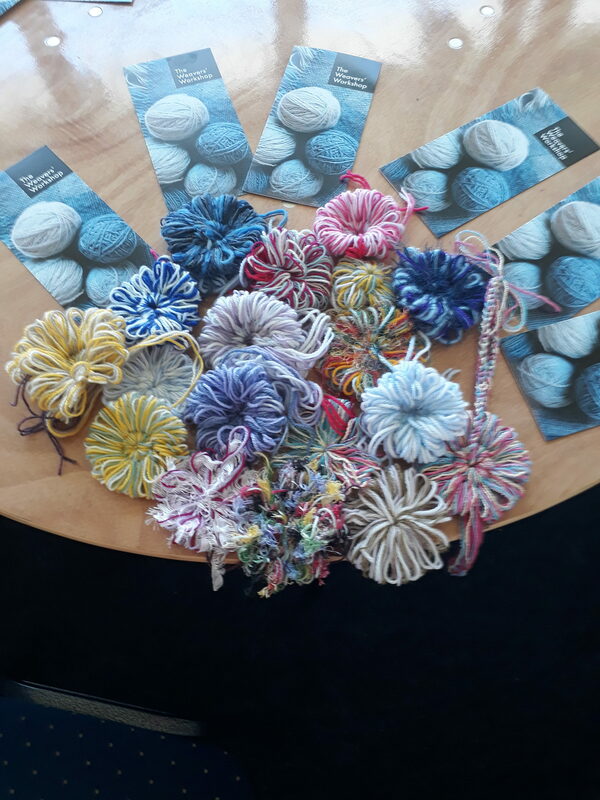 Have a chat with us whilst trying some simple weaving techniques and make a woven snail, flower, bracelet, Christmas decoration etc. You may take your “make” home too! 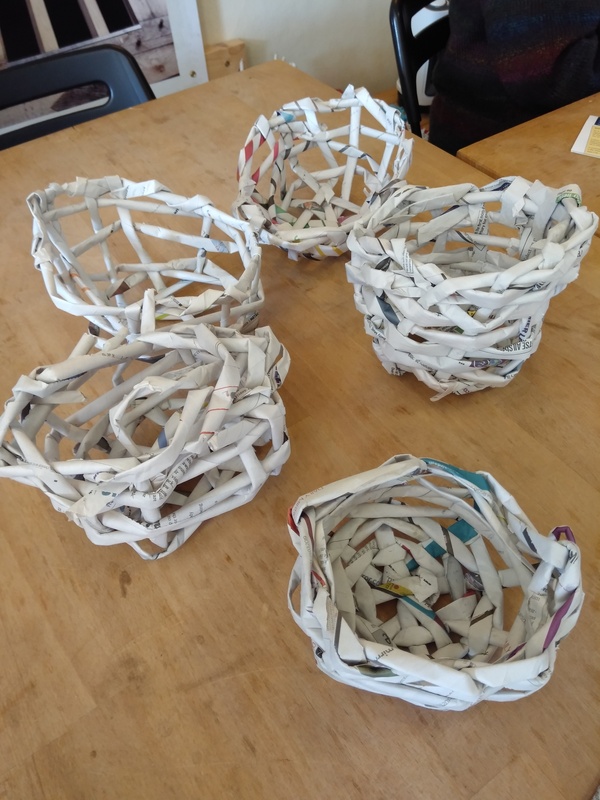 The Weavers Workshop group aims to promote the craft of weaving, it’s use as a creative medium and its place in Coventry’s history. 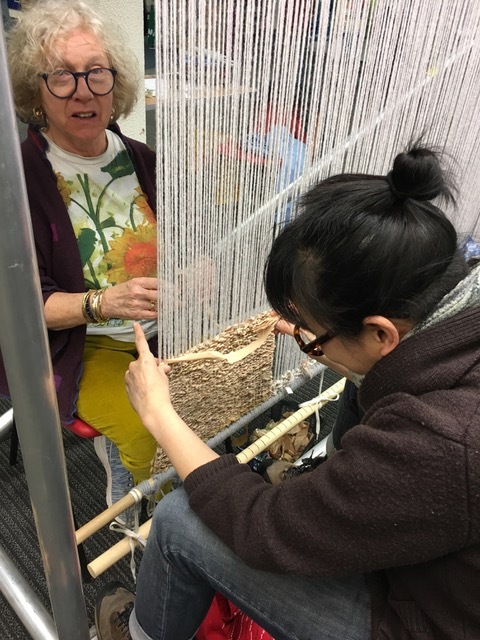 We have public drop-in sessions at the Weaver’s House, 121 Upper Spon Street, Coventry, CV1 3BQ on Mondays and Thursdays 10-12.30 to try out weaving techniques. We make a small charge and provide tea and coffee. Everyone is welcome. 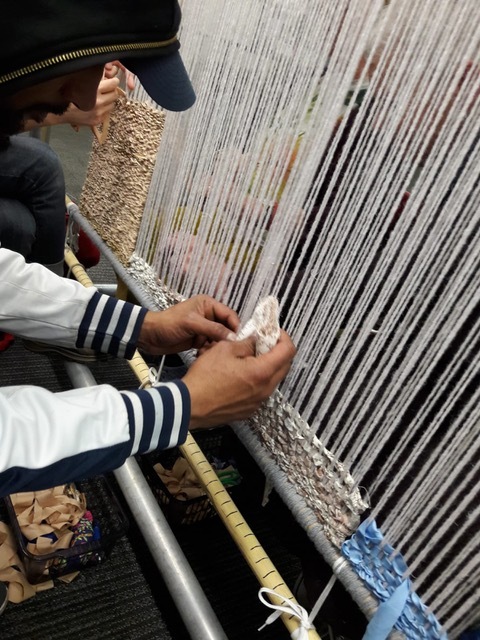 We also work with Community Groups in and around Coventry to provide weaving based activities. 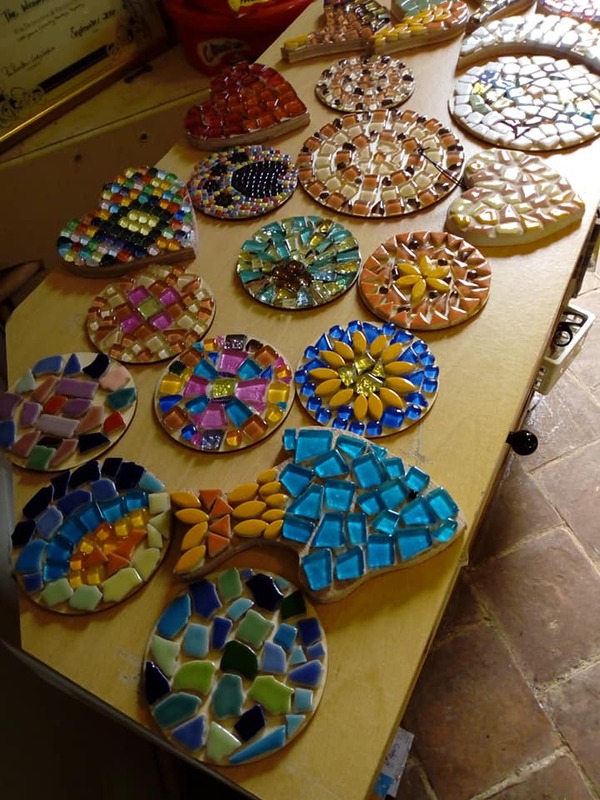 Such a lovely array of colours and shapes !